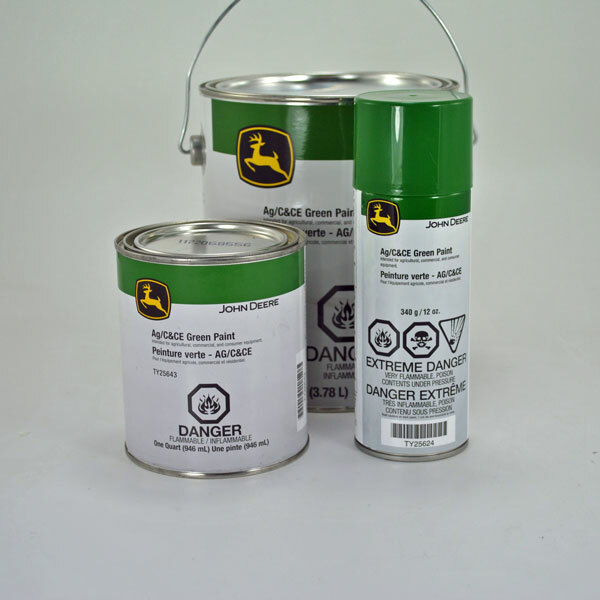 "Phthalo Green" has been used on all John Deere products manufactured since the spring of 1989. My tractor was looking a little rough around the edges and really needed to be touched up a little. I used the spray cans and was very satisfied with the color match and ease of application. Wonderful service. Needed to add to my order AFTER completeing the online order. Called and Customer Service added the extra product, which saved an additional shipping fee!! THANKS!!!!!!!!!!! 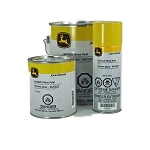 There is no paint that goes on like genuine John Deere paint. I have used many different brands and in my opinion it is the best. Green parts store ships fast and has a reasonable shipping rate. Don't waste your money on cheaper "knock-offs". This is a perfect match. Fast shipping,too. 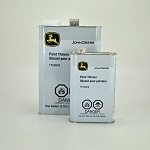 I was glad to get this paint quickly since I wanted to make a gift for a John Deere fan. Looks great. Easy to use. Thank you so much. Wonderful high quality paint! If you are painting something plastic, use primer designed FOR plastic and not primer that says it works on metal, wood and plastic. Bought 2 spray cans of green paint. One had very little paint in it. The other was as it should have been. The paint is great so I have ordered more of it. Great product. Perfect color match and easy to use.